Social media has become an important part of any business engagement with its public. Many businesses create a Facebook site or open a Twitter account because they have a sense that to be current and in demand, it’s necessary to have a social media presence. But if you want to make good use of social media to benefit your business you will do much better if you have a clear plan in which you identify the specific business drivers you want to support with your social media strategy. In developing this plan, it’s important to know what social media is out there, and what you hope to drive through your use of social media. 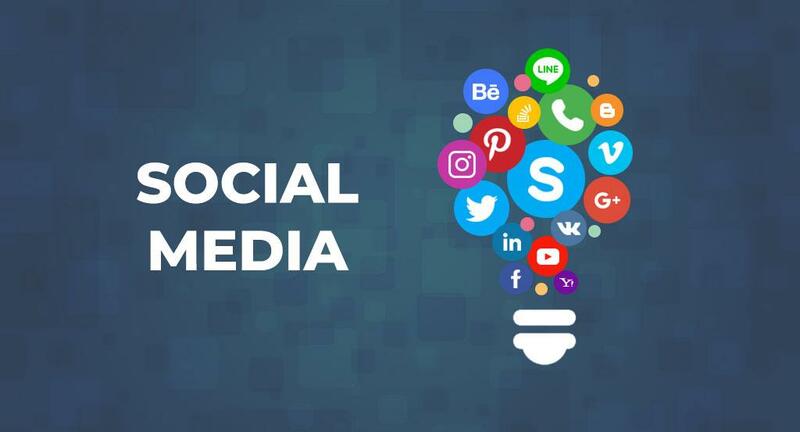 We have discussed in previous articles the great variety of social media available, and in this article, we will discuss ten ways you can drive business goals through the use of one or more of these venues. Remember that it is always important to have a complete plan that includes explicitly assigning responsibilities to appropriate people, having a means to analyze the data you collect, and understanding what audience you are trying to reach and with what message. Multi-channel marketing is a term used to describe using more than one medium to market your product – for instance, magazine and television ads, plus online advertising, plus your website, plus social media. By reaching your audience in multiple ways, you establish your brand with the public and reinforce it with your customers. Adding social media to your mix of marketing media allows you to have your brand in front of people in a whole new way, reinforcing itself most strongly among people most likely to respond to it – because your advertisement can be targeted based on various demographic factors. One of the great benefits that social media channels offer is the ability to provide targeted advertising – that is, advertising your product to the people most likely to be interested in it. Using web analytics to sift through masses of data, online advertising services can identify an audience more likely to respond to your product or service. Each ad placed has a better chance of paying off in results. Best of all, you can start advertising on Facebook for relatively little money, and see if the medium works for you before spending large amounts of money on it. Advertising traditionally is priced based on the number of viewers who will see a given ad, using data such as the magazine’s circulation or the number of viewers of a TV show. Of that mass of viewers, only a small percentage will have an interest in your product or service, and if you are hoping to appeal to a particular demographic, your effective reach into your market is very small compared to cost. Targeted advertising ensures that your cost per view cost is applied where there is a much better chance of generating interest… and leads. Using your social networking site to place targeted ads is an excellent strategy not just for direct product marketing, but also to generate leads for your sales force. Targeted ads on business-oriented sites like LinkedIn reach a B-to-B audience that is already looking for solutions of the type you offer. There are nearly two million groups on LinkedIn, each focused on a clearly described area of interest and directed at a fairly specific audience. Advertising in the right group means that you are advertising to a group inclined to read your ad and respond to you. Another very effective use of business-oriented social networking sites is to develop a presence by posting comments, articles, blog posts, and other content that shows your expertise in a field, giving you a reputation to back up your advertising efforts. You can go on to engage with people in your field of interest, creating connections with them so that when they are looking for solutions, your name is on their network, and you are able to put them in direct contact with your sales force – a much better return for the effort than non-targeted advertising or cold calling. Among the top customer service complaints consumers have is the way customer service is usually provided. Customers must call a phone number, and then navigate a menu of options that frequently doesn’t seem to apply to their issue. When they have gone through enough prompts, they are rewarded with the opportunity to wait on hold for a period of time that can be quite lengthy. Alternatively, you may have provided your customers with email on your website – possibly an email form that, once sent, disappears from the customer’s computer forever, leaving nothing for them to refer to. Compare that experience to one of increasing frequency, in which customers are able to post a query or even a complaint on your Facebook site or send a Tweet. Much to their surprise, they have a response within hours – sometimes within minutes. For your customers and your customer service department, this is a win-win situation. The customer is getting a quick response, and receiving a strong message that his or her business is valued and nurtured. The customer service department is able to respond quickly to many more people, and to manage a number of responses at a time without diminishing the quality of service provided to each customer. Your CSRs can triage customer complaints as well, something they can’t do by telephone. Viewing multiple contacts, they can decide whose problems are serious enough to be elevated to phone calls and rapid-response personal service, who can be directed to information on your website that addresses the issue, and who simply needs reassurance that their business is valued and their issue is not being dismissed. Providing improved customer service is one way of managing customer sentiment, and developing a sense of community among your customers online is another. As Warren Buffett said, “It can take 20 years to build a brand’s reputation, but only 5 minutes to destroy it.” Social networking is very immediate, and people are able to express themselves within minutes of a bad product or customer service experience, while the negative feelings are still strong and closely-held. Being there on the network gives you an unprecedented view into the feelings of your customers, and provides an opportunity to practice damage prevention rather than damage control. But monitoring social media is not only effective for customer service complaints. It is also a channel for finding out what your customers think of your company, how they want to see you behave as a corporate citizen, what products and services they would buy from you, and whether you have offerings that customers find unnecessary or even intrusive. Knowing how your customers feel based on their participation in social media is much more effective than marketing surveys, both because people behave differently for surveys, and because the feedback is immediate. Taking advantage of the immediacy and openness of your customers’ communication gives you a tool to engage with your customers as you cannot in any other medium, opening opportunities to develop personal and product loyalty and demonstrate responsiveness on a daily basis. By developing a sense of community using social media, you can give your customers a sense of connectedness that they can’t get from one-way advertising. Through your social media sites, you can generate interest with promotions, news bulletins, participation in social discussions, and so on. You can make your social media site a destination in a way that your website cannot be. Your customers are most likely already on Facebook, so finding your page – even without a targeted ad – is as simple as a simple search. With both Facebook and Twitter, your customers can follow you and receive notifications when you post – news, sales incentives, contests, discussions, webinars, or any other promotional effort you might make for your company. Many companies choose to put a personal face on their social networking so that customers come to know your in-house participants by name. Communications are signed by “Erin” or “Darryl” or “Rajesh” and not by “Your Friendly Customer Service Team at XYZ Corporation”. People can have conversations with individuals, allowing them to feel that they have developed a personal relationship with your company’s representative, and thus, a sense of community. Social media is fluid, but your website is relatively static compared with online social media – though much more responsive and flexible than print media. Your website serves a different function from your social media site. It is like your library: it is a repository of information, contacts, forms, items that people need to be able to find easily and predictably. To that end, you go through a lot of effort and expense to set up a website that provides certain types of functionality and information. You are much better able to maintain the most current information, and keep forms and contacts up to date than you could in print brochures and advertising. But the flexibility and interactivity available to you on social networks is greater by magnitudes. Using your social media options, however, you can drive people to your website, where they can find information, contact information, coupons, maps, directions, or opening hours – giving you ever more value from your website investment. We are all notoriously terrible at finding information. Because social media allows people to gather in a virtual space and share experiences, you can quickly identify what information people feel is lacking. You can either create it or, more likely, point people to where it exists on your website. Just like rapid-response customer service, your helpdesk staff can use the immediacy of social networks to ensure customers know where online to find product user manuals and spec sheets. In addition to bridging perceived gaps, you can make product announcements and disseminate news stories which showcase your company in a positive light. You might use an internal social media site, or a private group on a public site such as Facebook, to share training materials for internal staff, or product brochures for your sales force. Customers are now community members, and they may find and share new uses for your products, or share stories about product benefits. By using social media to disseminate information, you further cultivate the sense of partnership with your customers – a key component in brand loyalty. When you share knowledge, particularly product information and announcements, you open new opportunities for improvement, because by putting information out there, you are explicitly or implicitly soliciting feedback from your customers. As an example, imagine you’ve released a new product and announced it by using among other channels, Twitter and Facebook. People are going to weigh in, and they are going to do that immediately. With a well-designed set of data tools, you can harvest that response. As we have discussed previously, using Big Data tools, the response can be collected, stored, and processed to paint a meaningful picture of the real sentiment of your customers regarding the new product. Using context and history, better data analytics will help differentiate people who have or could potentially have an interest in the product from casual commenters. Your R&D people can look at the responses and see if they have met all the critical customer needs, while your marketing people can see if the buzz is positive or negative. If it’s negative, you can see why. And the immediacy of social network communication allows you to respond quickly to negative sentiment, possibly even altering your product or service prior to its introduction into the market. If your marketing people are participating in the conversation, they can help keep a sympathetic but positive tone, announce changes to the product and generally help manage the buzz. Recruit and hire from a broader base. LinkedIn is the best-known business-based social network, but it is by no means the only one. Even Monster.com, the venerable jobs board site, has added functions that make it much more like a social network than a set of classified ads. The reality of today’s workplace is that the way to get jobs now is online. A job hunter checks the job boards not only on Monster.com and individual companies but of social networks like LinkedIn, social networks whose primary purpose was not, originally, to provide a job marketplace. But smart recruiters quickly saw the potential of mining a cohort of people who are specialists in their field, and who have already gone the extra step or two that it took to join a group and at least read the posts, becoming better educated in his or her own field. Recruiters for many large companies now routinely post ads on LinkedIn as well as on their own sites, especially for more specialized and higher-level positions. Businesses are discovering ways to make social media work for them, to engage with customers, colleagues, employees, and vendors, in new, productive ways. But it’s important to have a plan, and not to treat social network activity as an afterthought. You want skilled, dedicated people managing your social networking presence, and you need to dedicate sufficient resources to be able to collect and analyze results. Identify your business drivers and determine their indicators for success. Social media provides opportunities, and if you invest in the time needed for good planning, explicitly defining your goals, and assigning the right people to them, you will get a good return on your investment.